The first journey on London's underground took place 150 years ago. It was this very same metropolitan line, although back then it was a coal powered engine that took those first passengers from Paddington to Farringdon. Transport for London and the London Transport Museum will celebrate with a number of activities throughout the year. 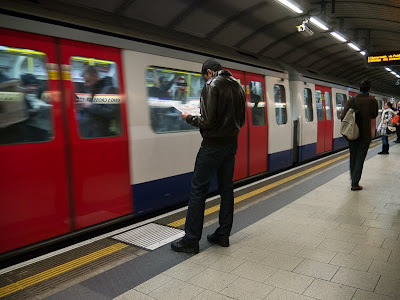 For a different take on the underground with loads of interesting titbits and funny stories visit Annie Mole's Going Underground blog. How often I stood there - awaiting a steam train! London was very farsighted to build its underground transportation system so early and to keep extending it. It has been a key player in London's growth.